“Do you know what you are wanting? Are you enjoying the evolution of your desire? Do you like that fresh, new feeling of a new desire just hatched; the awareness that there is something more to move toward, even before it is manifested? Do you still like that? That is the most significant question, and your coming to a confident answer of yes is a most significant thing for you, because when you have reached the place where a new, unfulfilled desire feels life-giving to you, then you have completely reconnected with who you really are. When there is something that you desire and it has not yet manifested, and you cannot yet see the path through which it will manifest, and you are discouraged, then you are forgetting that you are an Eternal Being and that you never get it done. But when there is a new, unfulfilled desire, and instead of torturing you with its absence, instead it calls you with its idea–then you are Source Energy, physically embodied, and right on track. So often, our physical friends feel frustration in their unachievement of something, as if once it manifests, then everything will be better. And while we do agree that it is fun to manifest, and we wish for you that your every desire be fulfilled, we want to remind you that when each desire is fulfilled, many more will be newly hatched. And when you finally relax and accept that you and we are all Eternal Beings, and that we never get it done, then sometimes, perhaps if you will let it, it will take the sting out of what is not fulfilled. When you are no longer feeling uncomfortable about what is not fulfilled, but are satisfied with what-is, while you are eagerly reaching for more, now you are in the perfect vibrational stance to allow steady fulfillment of ever-evolving new ideas. When you stand in your place, observing what-is, and letting what-is be primarily the reason, or the basis, for the vibration that you offer, what-is cannot change, because your vibration is only about what-is. Law of Attraction says, that which is like unto itself is drawn. So, if you stand in an awareness that you don’t have enough money, and you talk about it and you feel around it, and you perpetuate a continuing vibration of not enough money, even though you’re asking for more, and even though you may be offering action which should accommodate more–more cannot come because it is vibrationally different from the vibration that you are usually offering. And so, an attitude of satisfaction about what-is, an attitude of making the best of what-is while you are eagerly anticipating an evolution of what-is–that’s the perfect vibrational stance. Optimism brings you so much; pessimism keeps it from coming. Eagerness brings you so much; disappointment keeps it from coming. Happy anticipation brings you so much; discouragement keeps it from coming. Joy and love and appreciation brings you so much, while anger and depression and fear keep it from coming. Now, those emotions don’t actually keep it from coming. They are just indicators that while you feel that way–it’s not coming. In other words, your emotions are your indicator of what you are doing with your vibrational mix. Emotions are indicators of your Vibrational mix. So, the happier you are, the more you are allowing who you really are and what you really want to come. The more unhappy you are, the more you are resisting it. We call this gathering the Art of Allowing as compared to the art of resisting. In other words, allowing your connection with who you are, allowing the receiving of what you’ve been asking for. And the easiest way to hear “Allowing” is, letting in the good stuff–letting in what is naturally Well-Being, and what is naturally yours. Sometimes when we talk about Allowing, people misunderstand and they think that Allowing means finding something unwanted and just putting up with it–allowing whatever is to be, and not fussing over it. That isn’t what we mean by Allowing at all. By Allowing, we mean, finding, through choosing thought, things that feel good when you think them, and practicing those kinds of thoughts that feel good, so often, that they become the dominant vibrational proclivity within you. In other words, you just practice it until it’s easiest to go there. The Art of Allowing, is deliberately choosing thoughts that feel good, with an ear to how the thought feels as it evolves within you. The Art of Allowing, is wanting so much to feel good, that whether you are perusing the past or the present, or the future, you’re deliberately looking for the best-feeling thought that you can find. And as you choose the best-feeling thought and practice it until it becomes a sort of natural feeling within you, then more and more of that which you want flows to you. There is not a source of illness and there is not a source of poverty, and there is not a source of darkness. You know that. You don’t say, “The sun came up this morning and brought the light, and the blob came up tonight and brought the darkness.” You understand that there is a Source that can be muted or resisted, or disallowed, and that’s how it is with Well-Being. Well-Being is natural to you. Comparatively speaking, proportionately speaking, Well-Being is so huge and the lack of it is so small. So how does lack of Well-Being get such a foothold in anyone’s experience? 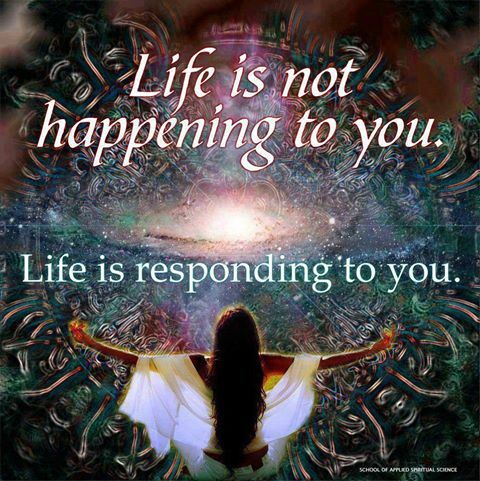 It all has to do with the vibrational airtime you give it. In other words, the more you look for reasons to feel good, the more you find the vibration of that. And the more you find the vibration of that, the more Law of Attraction brings you other things that match it. Haven’t you noticed that sometimes you can get on a positive roll? And haven’t you noticed that sometimes you can get on a negative roll? When you get focused upon something that doesn’t feel good–Law of Attraction will bring you more things like it. And what we want you to realize, is that there is no protection against a vibration that you achieve, because Law of Attraction says, that which is like unto itself is drawn. So, if you look at that thing that you want, often, and you talk about it, and you say yes to it, then you achieve vibrational harmony with it–and it must come into your experience. But when you look at that thing that you don’t want, and you shout no at it, it must come into your experience, because this is a Universe based upon attraction–it is all about inclusion. There is no exclusion in an attraction-based Universe. Every time you spend time looking at something unwanted, you just practice the vibration that attracts it to you. That’s why diseases get worse after diagnosis, usually, for awhile, until somebody convinces you that there is a remedy that you can focus upon. Our encouragement to you is that you make a decision today and practice it every day from now on, that says: I am one who makes the best of every situation. When you are making the best of something, no matter how bad it is, it’s got to get better. And as it gets a little better, and you still make the best of it, it’s got to get better. And as it’s still not very good, but you’re making the best of it–it’s got to get better. Sometimes, you catch yourself deliberately making the worst of something, and exaggerating your problem. And we know where you got that. When you were little, you had to plead a pretty needy case to your parents who appeared to be the vortex through which all your Well-Being came. And when you said, “I really want something,” their answer was often, “But you don’t need that. ” And so, you developed, very carefully, deliberately calculated patterns of expressing need to those that you believed were the givers of the goods. “I neeeed it! See how I’m suffering without it?” And we say, it might have worked a little bit with your parents as you eked out a mediocre improved life, but it does not work with the Universe that has the ability to grant all desires. Whatever it is you are achieving vibrational harmony with is what you are living. If you ever want to know what the vibrational content of your outpouring is, just look at the manifesting around you, because the manifesting around you is always a perfect Vibrational Match to the vibration that is dominant within you. You are here because you are wanting to really be Deliberate Creators. And we want you to know that a Deliberate Creator is really a deliberate feeler. A Deliberate Creator is one who says, “I want so much to feel good, because when I feel good, I’m in alignment with that which is my Source.” A Deliberate Creator does not demand that circumstances change so that you can have a better-feeling response to the circumstances. A Deliberate Creator says, “I will choose–from what seems to be available–the very best-feeling thought, past, present or future, that I can find, and I will fixate on it until it becomes the reason for my vibrational offering. And I know that Law of Attraction will then accumulate around that vibrational offering. And then, I will reach for the better thought and the better thought, and the better thought.” And what you will discover is that there is always a better thought. There is always an even-happier thought than the happy thought you’re thinking now. There is always even a better feeling–your capacity to achieve a better feeling is unlimited. So, you stand in this place where contrast produces a desire within you–an unfulfilled desire–a desire that has not yet been manifested. And if you will, in the moment of the new, fresh desire being born, turn your attention to the new idea and think about how it will be, and feel the refreshment of the new idea, then Source flows through you and to you, through you and to you, through you and to you, in this life-giving format. But if the contrast stimulates you to the new idea, and then you stand where you are, looking at where you stand, and you say, “Oh, I want this new thing, but look where I stand in relationship to it. I feel so far from this new thing that I want.” Now you’re beating the drum of what-is. And when you beat the drum of what-is, you are vibrationally resistant to the new idea. So, the Art of Allowing is about recognizing the fresh, newness of the new idea, and as quickly as possible achieving vibrational alignment with the new idea. Deliberate Creating at its best. Every time you practice the beating of the drum of something desired–Law of Attraction brings it closer. But every time you beat the drum of what-is, Law of Attraction holds it to you. There is much about your life that you want to keep–So beat those drums. There is much in your life you want to keep–So beat those drums. Every day we hear Jerry and Esther talking about the perfection of their life. On and on and on, and on, they go. They have a motor coach that they travel in that delights them so much, because it is home away from home but always feeling as if they are home, and they talk about how wonderful it is over and over and over, and over. Anyone not understanding, listening to them, would think they had gone mad as they recount to one another how lovely this is, and how good thaat is, and how much they appreciate this. When you find things that you appreciate and you use them as your point of focus, your world has to get better on all other fronts. You could have 99 things going wrong in your life and one thing going right, and if you would beat the drum of that one thing going right, the other 99 would either have to go away, or improve, because Law of Attraction cannot abide in your vibration something that does not match. You cannot feel good and be sick at the same time. You cannot appreciate something and blame something at the same time. Good morning friends. I believe it’s time for a great tasting cup of coffee. What about you? You are more than welcome to join me on this beautiful Saturday morning. I am presently sitting at La Jolla Cove. Been up sitting out on the rocks since before sunrise and really could use a cup of coffee right now. So, while I go fix my cup, you fix yours, find a comfortable place to sit and relax and I’ll join you back here in a few. Remember, this is your time to relax before you start into your weekend activities. If you’ve already started your weekend activities then take a break and consider what happiness means to you and all the ways you look for it. Those who know me will tell you that I find complete happiness at the beach. Lately, I seem to find utmost peace and serenity at the peace which equals complete happiness to me and that’s the only place I want to be. I got to wondering why I don’t feel as happy when I am somewhere other than the beach. My husband shared his thoughts on it and I believe he’s right. Now, he loves the beach as much as I do, but he can also feel happiness in other places as well. 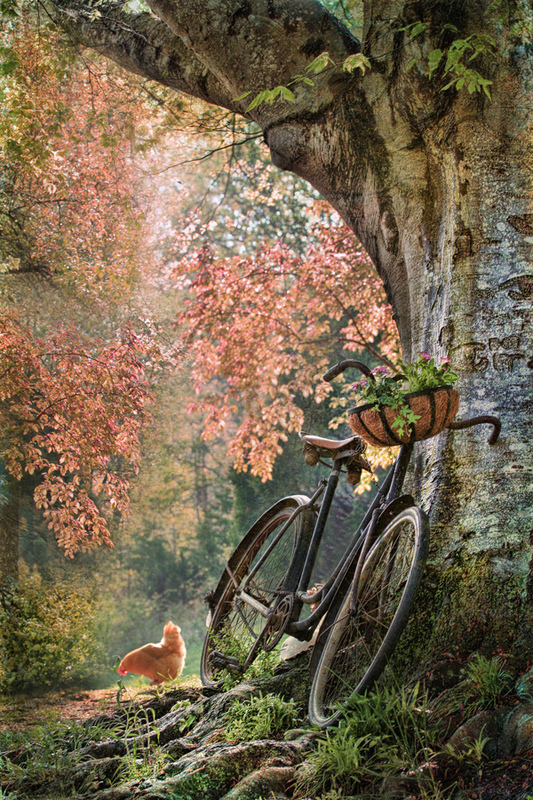 No matter where he is, he looks for something positive to appreciate and be happy about. To him, it’s that simple. So he explained that there is nothing wrong with me wanting to be at the beach but when I have to be at the beach to be happy….. that’s a problem. It’s every human’s desire to be happy and everyone looks for happiness in different ways,such as, health, achievements, material possessions, career, money, travel, family, healthy relationships, etc., but these things will only bring temporary happiness. He went on to remind me that true and permanent happiness is found inside yourself. It is the state of being that brings peace and happiness no matter what circumstances are going on around you. Permanent happiness comes from you choosing to be happy all the time. He also reminded me of the Law of Attraction – when you choose happiness and gratitude, the Universe has no other choice but to bring you more things to be happy about. So my lesson is to look for happiness in all things no matter where I am and no matter what is going on around me. Give gratitude for all things and all situations and remember that I and only I am responsible for my own happiness. Enjoy your coffee and I wish you all a wonderful weekend and much happiness. Remember to look and find the happiness within you and bring it forth into your outer world. ~Kathyann. We Humans tend to attach ourselves to so many things… cars, cell phones, televisions, jobs, relationships, time, opinions, judgment, appearances, etc. We consider these things important to our identity and happiness even though some of these really don’t make us as happy as we thought they would and are rather a burden. However, we continue to walk down our path day by day pulling these burdens in a bag behind us or carrying them on our shoulders while putting up a front and smiling so others see that we are all together, happy, successful, in control, or the one to be like. Every person we meet and every situation in our life is there to experience and learn from or to make us realize what we really want. It’s that simple. Things in this life are illusions – that’s right – not real. The only exception to this are the main people in our lives that we chose to be here with to learn from. So with this in mind, how about lightening up? Lighten up your life by lightening your load. Cut your absolute attachments to things that you really don’t care to have. Unless attachment to these types of things makes you happy, let go of them. Why continue to feel pressure that you must have the latest gadgets, the latest car, the best outfits, the best job, why continue to allow time to tell you where and when you have to be somewhere or do something, stop worrying about what others think of you, stop your judgment of others, let go of relationships that are not serving your highest good – simply let them go and stop giving them importance. A life with less attachments allows you the ability to see the happiness that lives within you. Look for it within and then allow it to come out and create all that you so desire and need. Fulfillment in life comes from inside you not by the illusions around you and as you shed those unnecessary layers that weigh you down, you will light en your load, making room for peace, happiness, and solitude. One way to let go of unhappy things in your life is to remember how it felt to be a child and act that way. Most children are honest – they will tell you like they see it whether you like or not. They do what makes them happy. They wake up every day in anticipation of adventure, excitement, happiness and good things to come. Most will not stay around people who make them feel bad unless they are in a bad family situation and even then they will most often look for the good in the situation or person. Life creation coaching se ssions are available. If interested contact me for more information. Wishing you all a wonderful, peaceful day. A day where you discover that nothing in the Universes would exist without you – that is how special and loved you are. ~Kathyann. Good morning Happy Friends. It’s Coffee Time and you are all welcome to join me in a virtual way. Pour yourself a cup, smell the aroma of those wonderful coffee beans, make it the way you like it and pour it into a very special cup. I think the cup really helps to make the coffee taste so much better. A pretty or interesting cup makes a difference. Where ever you go today just BE HAPPY. Be happy with yourself because you have accomplished many amazing things and will continue to do so. Be happy with those who have made you smile for they lightened your heart. Be happy with those who have made you sad or angry for they taught you something. Be happy that your pet loves you no matter what. Be happy because you have a place to live. Be happy because you have clothes. Be happy you have food to eat. Be happy that you are capable of feeling emotions as they are part of what constructs your life. Be happy for the many things your children teach you. Be happy you are healthy for this will keep you healthy. Be happy you are sick because this will make you realize your desire to be healthy. Be happy that you are alive and living in a world where you can choose from a vast array of things to add to your life that make you happy. When you see and feel happiness, you increase your positive vibrations higher and higher and when this happens – life takes a turn for the better. Positive vibrations can only and I mean only bring positive results. They are there – you just need to look for them. I wish all of you a beautiful happy day. Now go make yourself happy and pass it on. ~Kathyann. Hope you are having a wonderful day so far. It’s coffee time, at least for me. If you are feeling like a great cup of coffee sounds good, pull yourself one and take a break. Relax and enjoy a dessert as well. Today, we will discuss the fact that in a manner of speaking, we humans have been given a very special gift from Source. All of our beliefs become reality. What we believe will become reality in our lives and we will experience it. There is no area in our lives that this does not apply to. Beliefs pull in emotion and emotion is filled with feelings which therefore enhance the energy vibrations you emit. When your vibrations match a certain frequency, the belief will materialize. So my advice to you is to work on believing in all positive things you can imagine. Do not focus on the negative, forget about it. Negativity does not serve your well-being. If you are generally a negative person, it will take time to change your beliefs but I encourage you to practice every day focusing on the good in all and positive outcomes and you will see a difference in your life soon. It takes time to change negative habits but it is so necessary for a prosperous and peaceful life. Good morning friends. Please join me for a cup of coffee. Find a place where you can be alone, preferably outside where you can breathe in the air and enjoy Mother Earth. Get comfortable, take some deep breaths in and out and relax yourself. Work on letting go of all the tensions in your body by breathing in and out and as you breathe out, see them leaving your body. Relax, relax, relax. If you desire something in your life, you’ve been told to ask-believe-receive. Those are the three steps towards obtaining your desires. Seems easy, you say? Well, not all of it is. It is easy to ask, isn’t it? The thing with the ASKing part is that you must remember to honor other people’s free will and as long as what you are asking for does not harm anyone or anything, you may have, so ask. The second part, BELIEVE, is semi-easy. The things that come most quickly in your life are the things you believe in the most. You can bring to you only those things you believe, so you must believe to receive what you want. Remember being told that you must see to believe? Well, that phrase is simply not true. You must believe to see is the true phrase. The believe part must come from deep inside your heart and you must believe beyond a shadow of a doubt. The third part, RECEIVE, is the hard part. You must raise your emotions of excitement and anticipation so you get on the same frequency of happiness as you would be feeling if you had already received your desire. So, in other words, play out or role play as though you already have what you want. Remember to include emotion in your process because emotion is what will raise your happiness vibration and allow you to tune into the frequency you need to be tuned into where what you desire already exists. I wish you all a beautiful Saturday filled with lots of belief and happiness. Copyright © Kathyann – Loving Life on Earth. All rights reserved. You are free to copy and distribute this material, as long as it is not altered in any way, the content remains complete and you include this notice. I have no idea where this home is, but I do know, I would really like living there. I truly wish all of you a beautiful and happy Saturday. If the weather is nice where you are, I encourage you as always to take a walk outside or ride a bike – get some exercise, breath in and out. As you breath in, image taking in all good things and as you breath out, release all negativity in your life. Just let it go. Remember, if something/someone does not bring out the best in you and is not serving your “highest good”, let it go….. you don’t need it. Don’t waste anymore time on it. You are here on Earth to experience total bliss and happiness so create it and claim it as yours. If the weather is not such that it is practical to go outside then simply find a quiet place in your home, put on some calming music, close your eyes, relax, and begin the process of breathing in all goodness and breathing out all negativity. Happy breathing to all of you. Much respect, Kathyann. 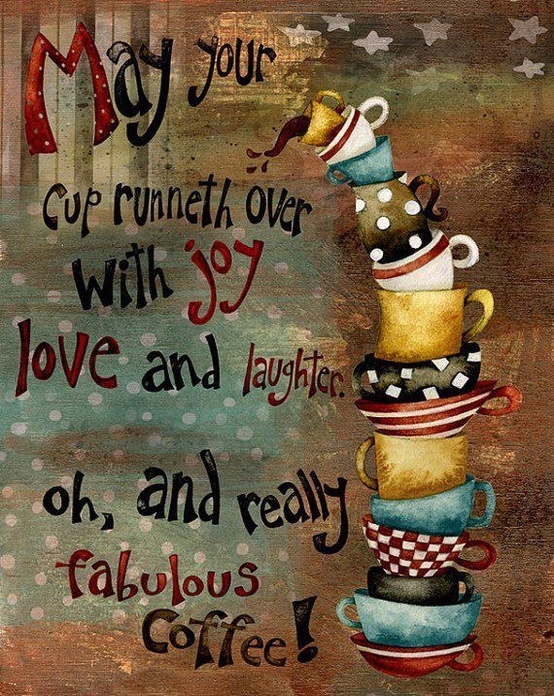 May your cup runneth over with many blessings today! Remember, to look for them – they really are everywhere. ~ Kathyann. There is a truth deep inside of you that has been waiting for you to discover it, and that truth is this: you deserve all good things life has to offer. You know that inherently because you feel awful when you are experiencing a lack of good things. All good things are your birthright!!! You are the creator of you, and the law of attraction is your tool to create whatever you want in your life. Welcome to the magic of life and the magnificence of you! “In the linear there has always been a sense of comparison between incarnates that can often become distracting in the pursuit of purpose. 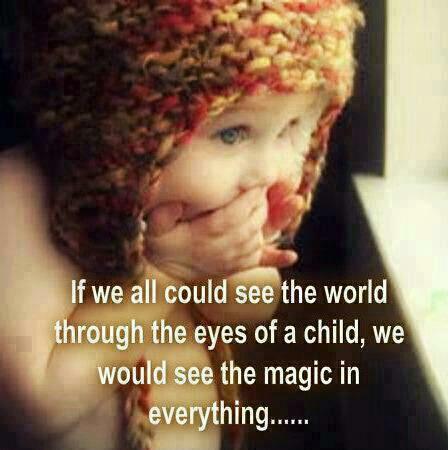 Know that each of you brings forth a magical element. To do so, it is important to focus upon what those gifts are. Coveting another’s energy or belittling the self for lack of personal purpose is wasting valuable inner abilities. Instead, focus clearly upon your own energy. Calm the chitter chatter of the day and listen to the lullaby of your soul. This internal magic is unique within each one of you. No one arrives in physical without their purpose tucked deep inside. Many chase pursuits that leave them wondering why they feel so empty. It is important when searching for that “Magic Moment”, to seek it within yourself. The magic is not external. Your talents and strengths are within the heart. Seek them there instead of connecting with the magic in the distance. Often that external magic is elusive, for it may be simply a reflection of yourself. You can almost grab it, but some how it escapes. The internal magic is ever present. One can simply extend themselves and blend with it. The unique qualities of your soul are yours. They reside within, hoping you will recognize them and release them into your life’s journey. Always remember that each soul is unique, so any attempt at comparison will be disappointing. Stop the motion of negative thoughts and become a believer in your own magic.